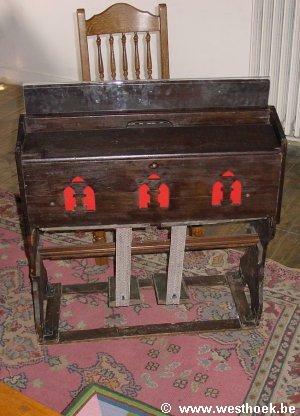 This harmonium was not only used in the chapel, but also in the Concert Hall, the hopstore adjacent to the garden of Talbot House. After the war the instrument ended up with the British Army in Germany. In 1927 it was discovered by an army chaplain in Wiesbaden and brought back by him to England. At the official reopening of the House at Easter 1931 it was played here again.